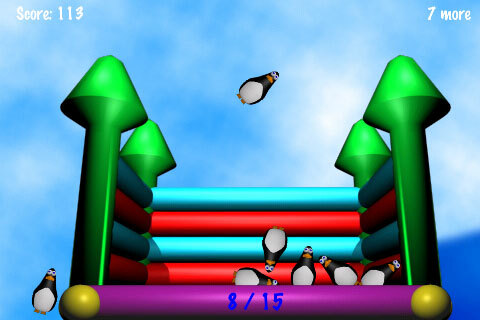 Flight of the Penguins is a fast and friendly casual action game. 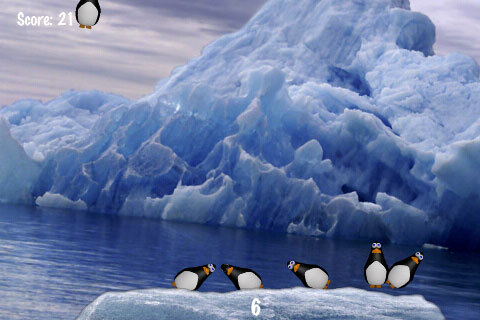 The objective is to catch as many penguins as you can by tilting each stage to keep them from falling off. 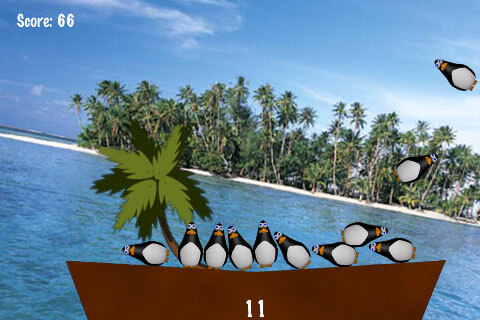 Your score goes up as you save more penguins, but they also jump on board faster... Can you keep up? 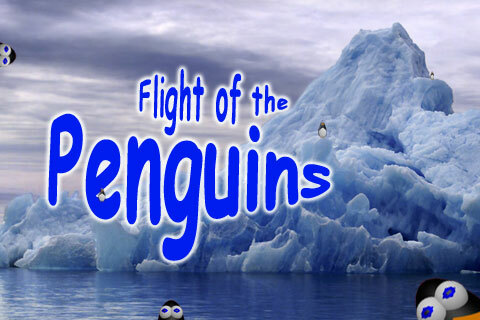 Note: Flight of the Penguins is not affiliated with March of the Penguins in any way. Family friendly graphics. There is no violence; just cute penguins! Two unique game modes: Normal Mode, where you progress through increasingly difficult levels and unlock more stages to play; and Infinite Mode, where the penguins don't stop until you let one drop. Can you catch them all? Three different stages each with their own unique twists: The Island, where the penguins are just relaxing. 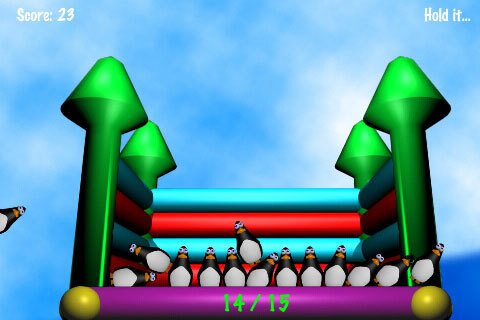 The Bouncy Castle, where bouncing is added to balance. And the Iceberg, where slipping and sliding add an extra challenge. Easy to pick up and play accelerometer-based controls. Just tilt your iPhone or iPod Touch. No buttons to worry about, just fun! Great for quick play sessions. Only have a minute before your next appointment? See how high your score can go! Scores are automatically saved when you're interrupted, so you never lose your points. Accelerometer adjustment. Is it a little too twitchy for you? Not fast enough? Adjust your accelerometer speed through the Settings app. Please e-mail penguins@toscaledesign.com with any questions, comments or suggestions regarding Flight of the Penguins.